Oh my! This week the Mamas' homes have been taken out by the stomach bug. Poor Carrie Beth just couldn't kick it, and then Monday night rolled around and not one, but both Cutes came down with it. Even with over four years of motherhood under my belt, this is our first experience with the stomach bug, and then to be tag teamed. It wasn't pretty. Around the 18 hour mark, I ran out of floor cleaner, my laundry detergent was running low, and my giant supply of Costco paper towels had taken a massive hit. The fear was real people. I was so excited about this year's Valentines. I asked Cute what he wanted to give to everyone and he responded with Nerf Guns. Considering that would probably be frowned upon at school I had to let him down gently from that idea. Cute has become obsessed with flashlights, so I asked him if he thought that would be fun and he got so excited. 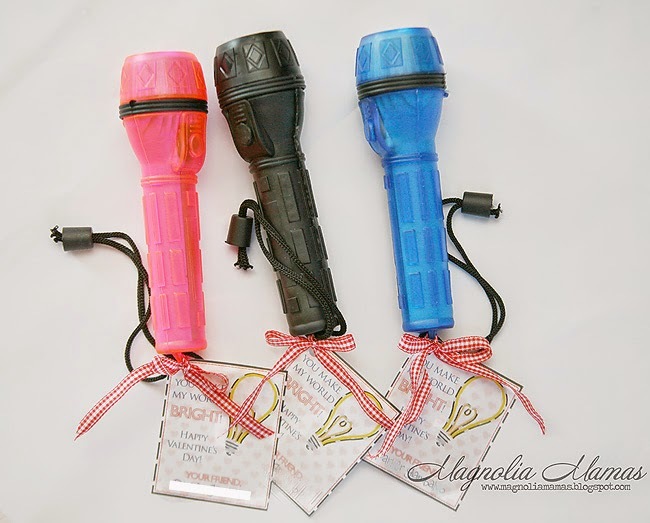 We headed to the local dollar store in hopes that they would have some inexpensive flashlights we would purchase for all his classmates. 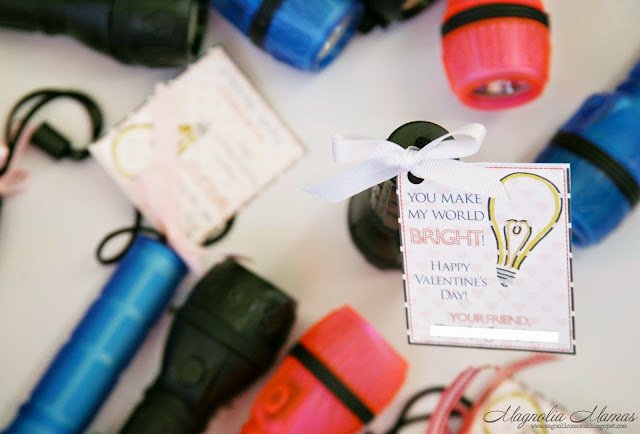 We found these fun pink, black, and blue ones, and they were perfect for this project. 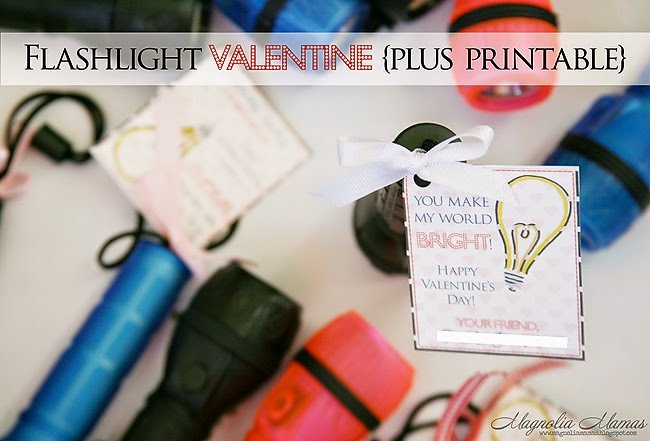 We purchased the necessary amount, plus one because Little Cute was not about to give up owning a fun pink flashlight, and made our way home where I designed this quick Valentine. I printed them on card stock and then cut them out. 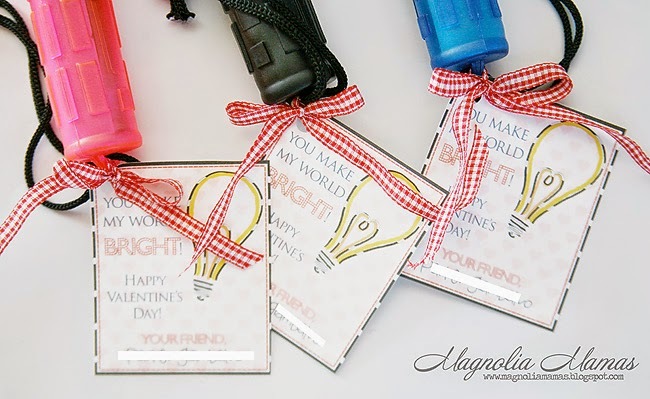 Then I hole punched them and attached them with ribbon through the lanyard hole. Super easy and simple. My kind of craft. I loved how they turned out and was glad we were able to find a fun non-candy treat I think the kids will enjoy. 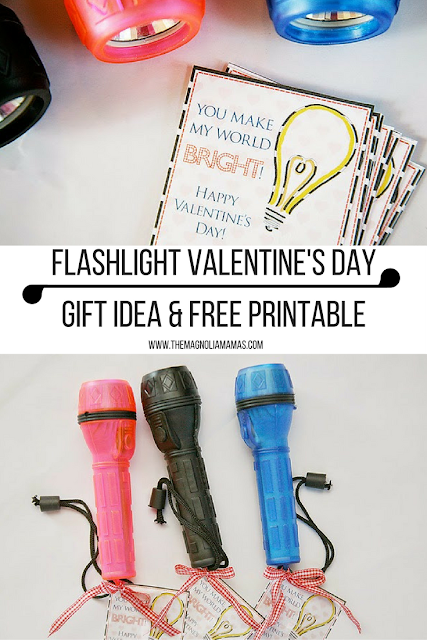 It might be last minute for you to use these for your Valentines this year, but if not here is the printable for you to enjoy or have on hand for next year. 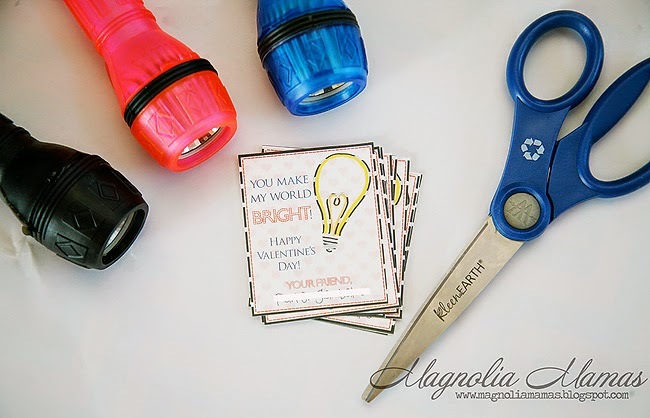 It can also be used with anything that "lights" - glow sticks, glow in the dark objects, etc. 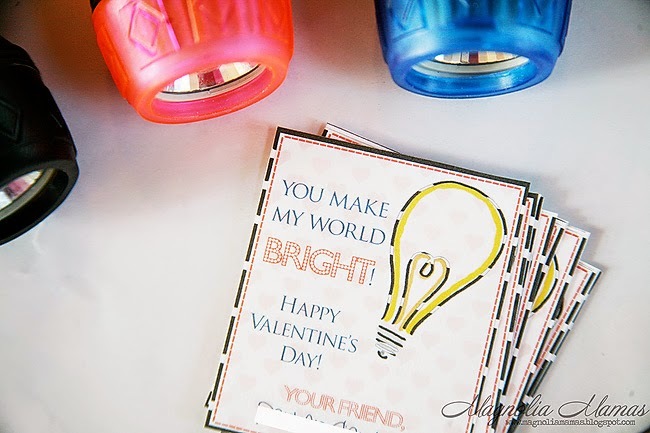 Here's hoping for a germ free rest of the week and a Happy Valentine's Day!